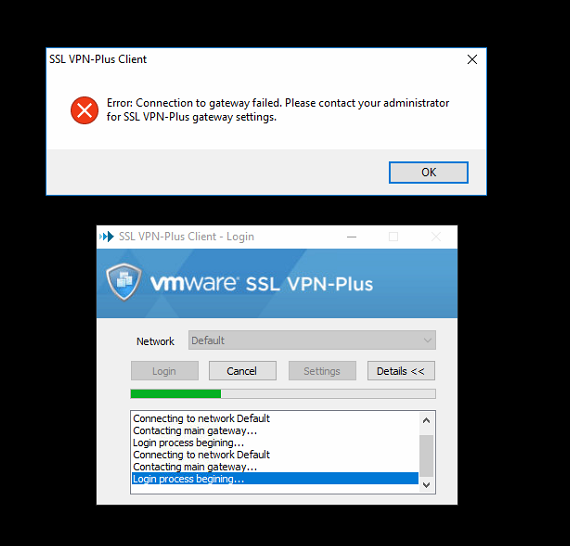 After upgrading from vShield Edge 5.5.4 -> NSX Edge 6.2.4 -> then converting to Advanced Gateway in a vCloud Director (8.20) environment all of my SSL VPN connections failed to establish. "Error: Connection to gateway failed. 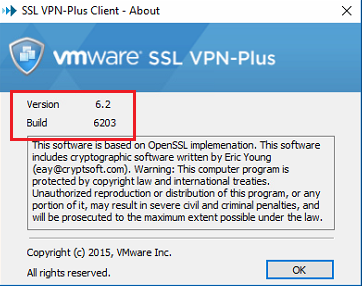 Please contact your administrator for SSL VPN-Plus gateway settings." I then decided to log into my SSL VPN Portal (in my case https://mycloud.jordansphere.co.uk:8443).. From there I downloaded the client again and upgraded to the latest version. After a successful installation I re-checked the version number. The VPN then successfully connected. Note: The SSL VPN details were previously set up via an administrator in vShield Manager . The Advanced Gateway allows the EU to do this directly.